WIN TICKETS TO SEE THE AMERICAN CLOCK AT THE OLD VIC! We’ve teamed up with our friends at the Old Vic Theatre to give away a pair of tickets to a new production of Arthur Miller’s ground-breaking play. Visionary director Rachel Chavkin (Natasha, Pierre & the Great Comet of 1812, Hadestown) presents Miller’s play about hope, idealism and a nation’s unwavering faith in capitalism. 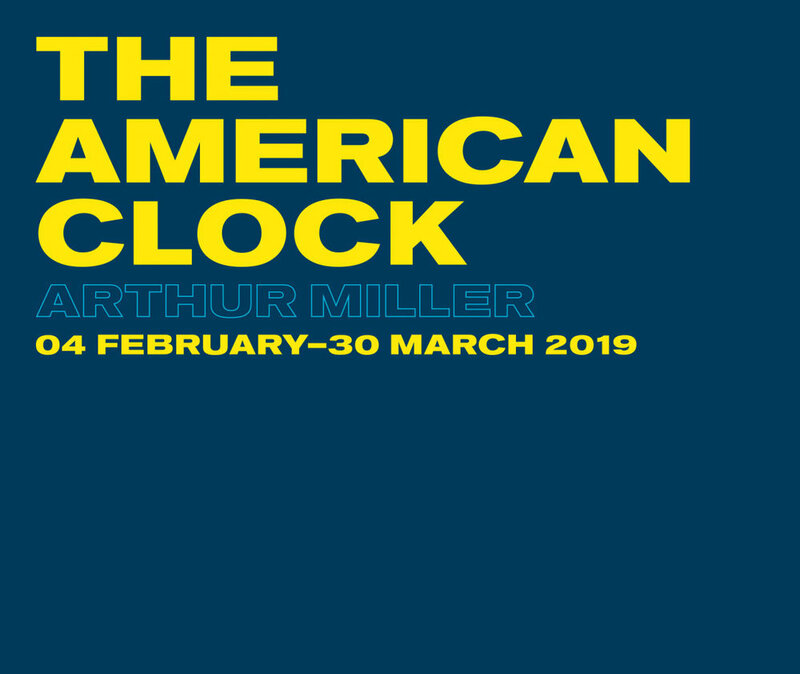 The American Clock plays at the Old Vic from 4 February to 30 March. The Arthur Miller double bill also features All My Sons (15 April to 8 June), in cinemas with NT Live on 14 May - starring Sally Field and Bill Pullman. Visionary director Rachel Chavkin (Natasha, Pierre & the Great Comet of 1812, Hadestown) presents Arthur Miller's ground-breaking play about hope, idealism and a nation's unwavering faith in capitalism. To celebrate this new production of, and The Old Vic’s Arthur Miller double bill with All My Sons, we are giving Curzon Members the chance to win a pair of tickets to The American Clock plus programmes. (Valid on the performance Monday 11 February 7:30pm). One lucky member will be selected at random from the entries submitted. This competition closes on Sunday 3 February. To enter this giveaway, simply fill in the form below with your details, including the email used for your membership, and answer the competition question. Good luck! Prize is two tickets to The American Clock at The Old Vic theatre and two copies of the programme. Tickets available for the performance on Monday 11 February 7.30pm. Tickets are non-transferable, and no cash alternative with be offered. Tickets must be collected from the box office and will not be sent. No transport will be covered. Winners will be selected at random from all entries received and the winner must be a current Curzon Member or Student member. The competition closes on Sunday 3 February at 11:59pm. If the winner does not claim their prize within 3 days of being notified, then their prize will be forfeited and another winner will be selected.